The National Certified Gerontological Counselor was the premier certification for gerontological counselors and was retired in 1999. 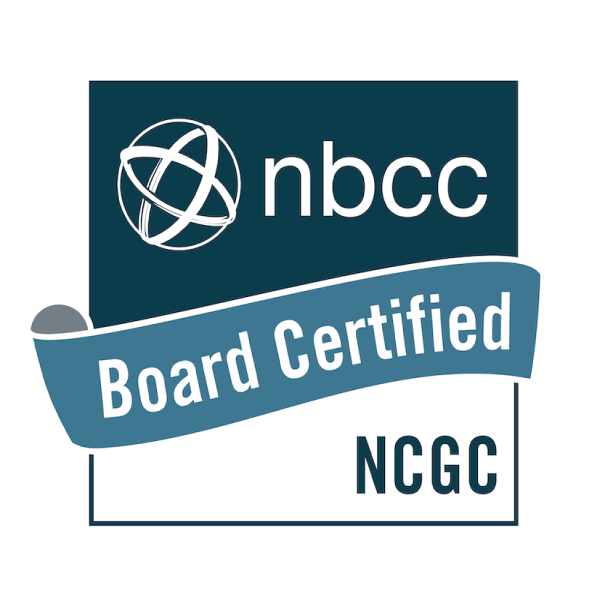 Earners of the NCGC can continue to hold their certification obtained by meeting high standards for the practice of gerontological counseling. They are competent in skills related to human growth and development, social and cultural foundations, helping relationships, group counseling, career counseling, assessment, and professional counseling. Master's degree in counseling from a regionally accredited or CACREP-accredited program and 25 clock hours of training in normative experiences of aging, impairment and the older person, needs and services of the older person, older persons and special issues, techniques for counseling older persons, and ethical issues in counseling older persons. Endorsements by a colleague and by a supervisor or employer. Three years of experience with 25 percent of time spent in direct contact with gerontological clients or on behalf of gerontological clients. Applicant was required to complete a self assessment of their own skills in relation to the requirements of the credential. Ethics - Must adhere to the standards identified in the NBCC Code of Ethics. Twenty-five clock hours of training in normative experiences of aging, impairment and the older person, needs and services of the older person, older persons and special issues, techniques for counseling older persons, and ethical issues in counseling older persons.